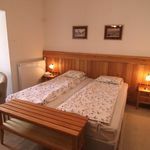 Rooms, services Oroszlános Borvendéglő és Borhotel Tállya is offering 15 tastefully furnished rooms to those seeking accommodation in Tállya. The hotel offers chield-friendly services, which will assure a pleasant stay for the complete family. You are free to bring a four-legged friend along, the hotel also allows small pets during the stay. In case you ever feel like eating in, you may taste delicious local dishes in the restaurant of the hotel. For recreational purposes you may try the wellness services provided by the hotel, more detailed information you will find on the information sheet. Thanks to air-conditioning being in operation in some of the rooms, you can also easily refresh yourself on warm summer days (please take a look at the information sheet of each room to see if it has air-conditioning). You can browse the Internet via wireless connection (WiFi) available at the hotel. 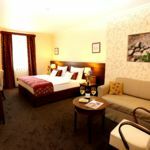 The exact scope of services offered by Oroszlános Borvendéglő és Borhotel Tállya (including those for an extra fee) and the exact equipment of a room are available on the information sheet below and on the information sheet of the given rooms. Catering The displayed room prices include daily served, fresh and rich breakfast. When booking a room, a different type of catering may also be requested, the hotel is offering the following opportunities: breakfast, half board, full board. Payment You may pay your reservation by the following payment methods: cash, bank transfer, credit card. 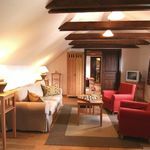 To be able to accept your booking request Oroszlános Borvendéglő és Borhotel Tállya is asking for 50% advance payment. Arrival, opening hours The earliest time to check in at the hotel is 14:00, the latest time to check out is 11:00. The personnel of the hotel can speak with you in English, Hungarian and German languages. The total capacity of the room is 2 adults. With children under the age of with children under the age of 18, max. 7 people guests can be placed in the room. The total capacity of the room is 2 adults. With children under the age of with children under the age of 18, max. 4 people guests can be placed in the room. 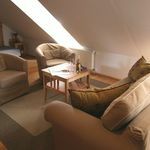 The rating of Oroszlános Borhotel és Étterem Tállya is 8.9 from the maximum of 10, based on 35 real guest reviews. "Finom ételek és borok, hozzáértő kiszolgálás"
Szeretettel várjuk Önöket vissza szállodánkba. Köszönjük értékelését, bízunk benne, hogy visszatérnek hozzánk!